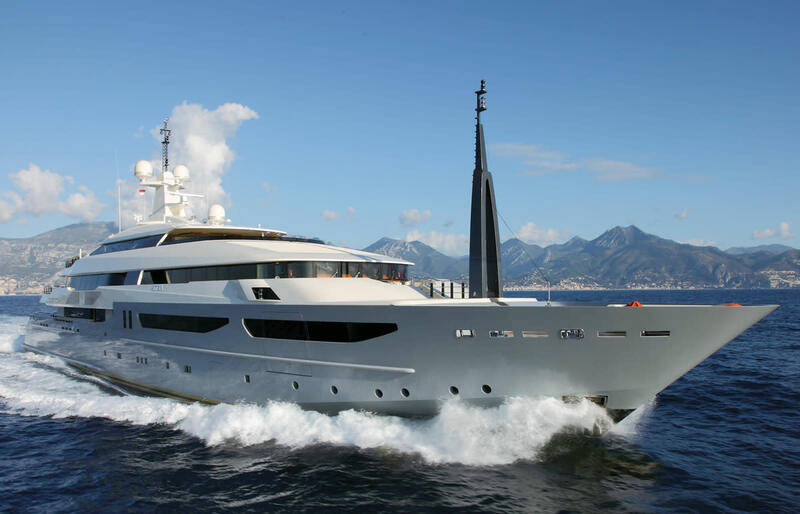 Nuvolari-Lenard designed the largest yacht yet launched at CRN, the superyacht builder based in Ancona. 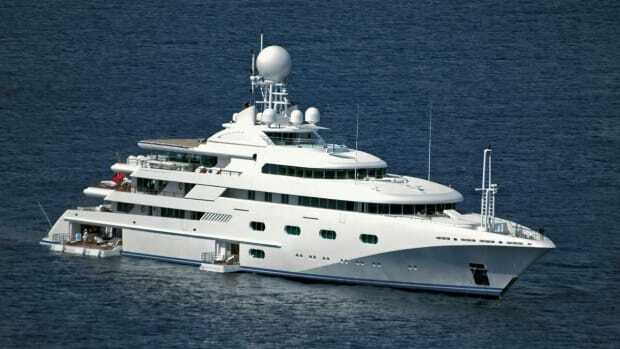 Azteca’s classic appearance and huge open sun deck embody today’s new luxury, according to her designers. 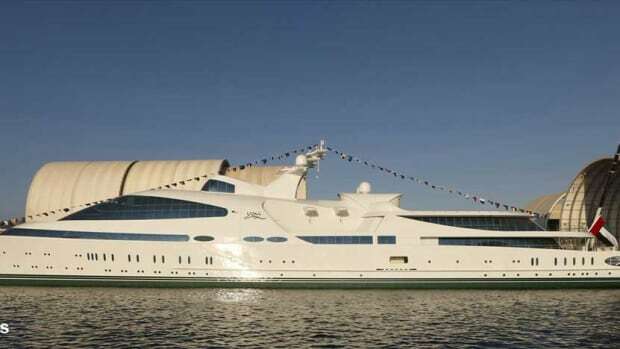 The design team had already worked with the shipyard on the commissioning owner’s previous boat, named Clarena. 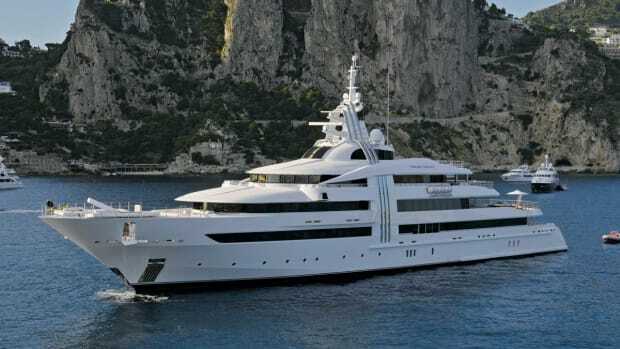 Nuvolari-Lenard designed the largest yacht yet launched at CRN, the superyacht builder based in Ancona. 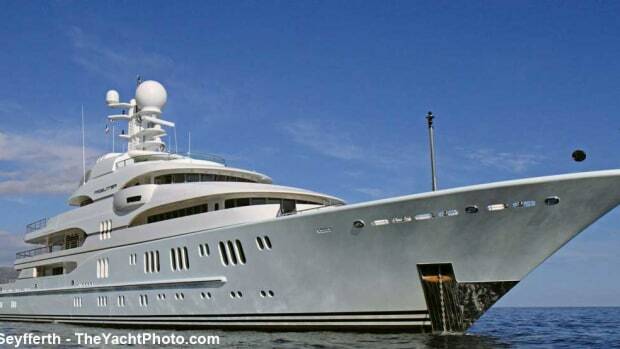 Azteca’s classic appearance and huge open sun deck embody today’s new luxury, according to her designers. 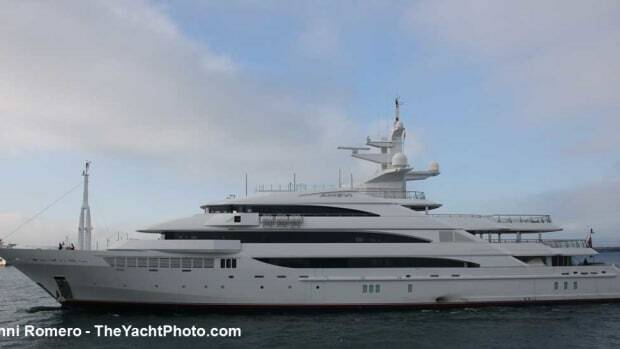 The design team had already worked with the shipyard on the commissioning owner’s previous boat, named Clarena. While Nuvolari-Lenard is behind a number of colorful and bold designs, this gray-hulled slender beauty is rather subdued in her appearance. 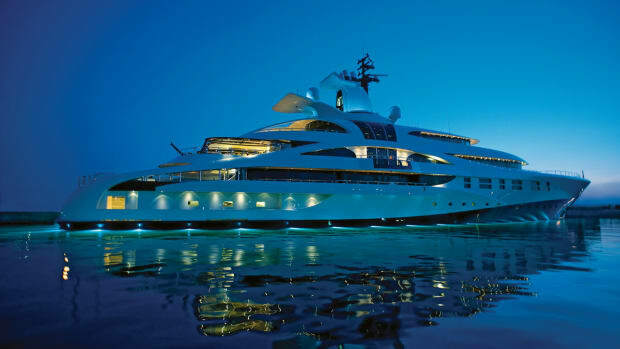 She is truly an elegant yacht with an abundance of pleasant spaces that maintain that precious connection with the environment. In addition to a wide-open sundeck with an outdoor gym and a huge central bar, this displacement yacht features a spacious swim platform, nearly 1,100 sq. feet in area, connected to a beach club. The owners’ suite features a private balcony—another great way to enjoy an ocean view. 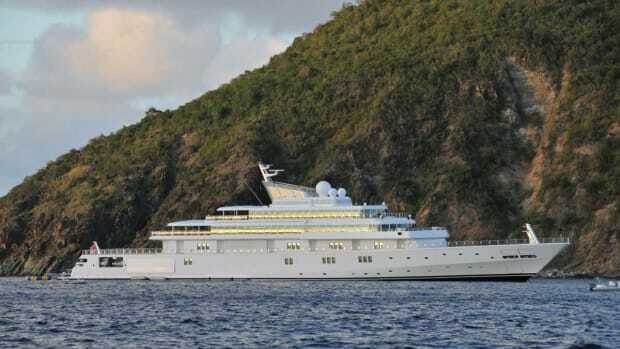 The yacht’s original European owner was a gourmet, and he paid special attention to the galley. It is an enormous professional space, full of stainless steel appliances and countertops that can handle any kind of event. 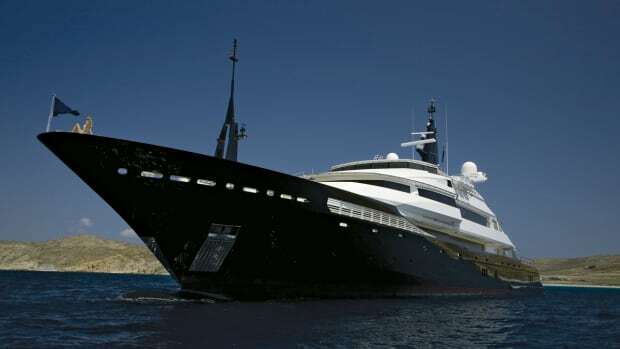 The CRN shipyard did the yacht’s naval architecture. 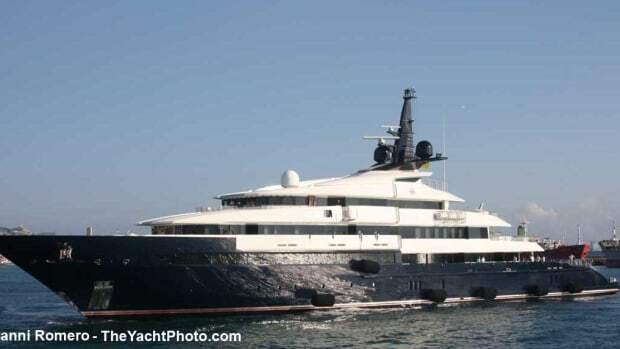 Powered by twin Caterpillar 3516B engines, the steel-hulled yacht has a top speed of about 16.5 knots and cruises at 15 knots. Click here to read a feature article from our July-August 2011 issue.